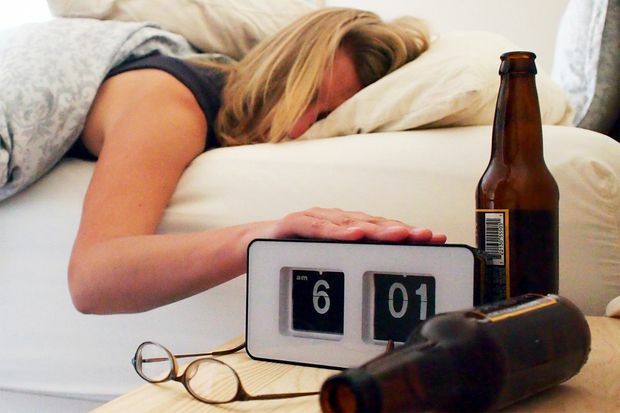 We all know how painful a hangover can be and how much it slows down the day’s activities. The alcohol causes dehydration which results in the headaches and hangovers are a result of disrupted biological rhythm. How to tackle the headache and nausea? Drink plenty of water to re-hydrate the body. Try and drink water between the glasses or drink up next morning to stay hydrated and flush out impurities. Apart from water, drink other fluids that will help restore salt and potassium levels in the body. Coconut water, sports drinks or any other electrolyte supplements will help. A good breakfast helps restore calories and rehydrates the system. Cereal and toast work best as they are easy to digest foods. Ginger is the best solution to overcome nausea and vomiting. Chewing on some form of ginger before or after drinking helps reduce vomiting. A simple self-healing mechanism is rest. A good long sleep can help the body recover from the aftereffects of alcohol. Greasing up before drinking is a method most people swear by. A spoon of olive oil or fatty foods like pizza grease up the stomach and intestines, slowing down the absorption of alcohol into the system. The best cure is, however, prevention. We suggest you don’t consume alcohol as it has many, both short and long term harmful effects on the body.